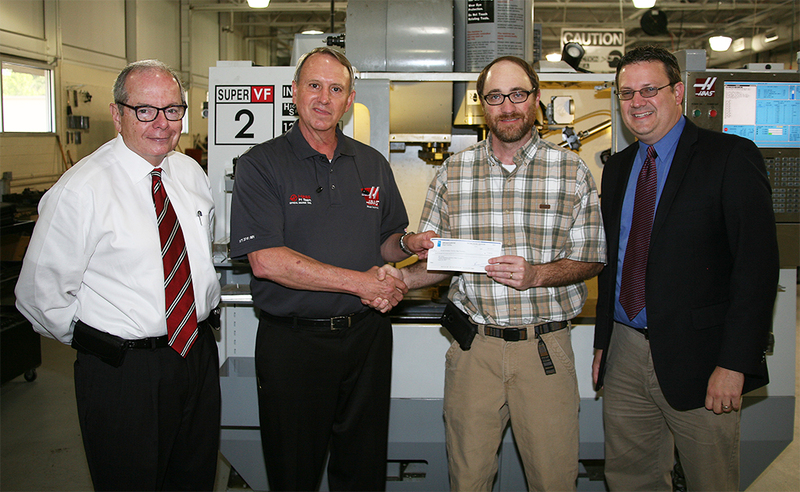 Georgia Northwestern Technical College’s (GNTC) Machine Tool Technology program on the Floyd County Campus was presented with a $7,500 grant by the Gene Haas Foundation to be used for student scholarships. (From left to right) Pete McDonald, president of GNTC; David Aycock, Haas specialist; Bart Jenkins, director of the Machine Tool Technology program at GNTC; and Jason Gamel, director of the Foundation at GNTC stand in front of a Haas Computer Numerical Control (CNC) machine in the Machine Tool Technology lab on the Floyd County Campus. Aycock presented a grant of $7,500 to Jenkins to be used for student scholarships. 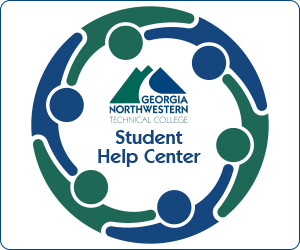 The scholarships will be given to students that plan to enroll, or are currently enrolled, in a machining-based program at GNTC. The criteria for receiving a Gene Haas scholarship will be determined by the program instructor or a committee that includes the instructor. 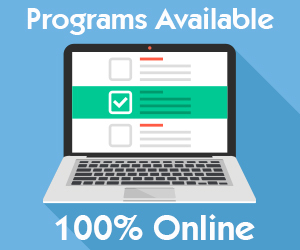 The grant cannot be used to purchase equipment, machines, or simulators. “Since the funds will be used for direct school costs including tuition, mandatory fees, and books it will make the program more affordable to students that really need the support,” said Jenkins. Haas specialist David Aycock says that the Gene Haas Foundation created the scholarship to address the demand for qualified machinists.